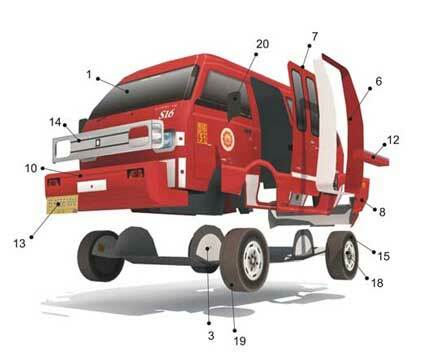 Angkot S16 Paper Model. This transport vehicle is really a pain in the @#s for many of Jakarta's people. Their egoistic for just stoping anywhere they like is very annoying to the others who share the road. They cause many traffic jam in some on Jakarta's area. Noone have never annoyed by this little blue devil. 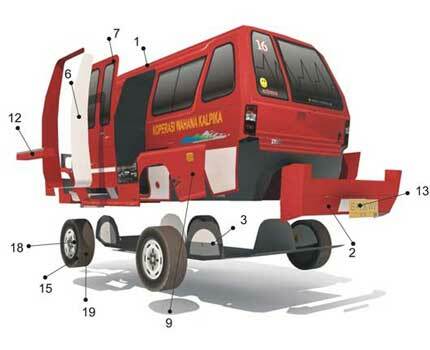 People in Cinere urban area are very familiar with this vehicle. 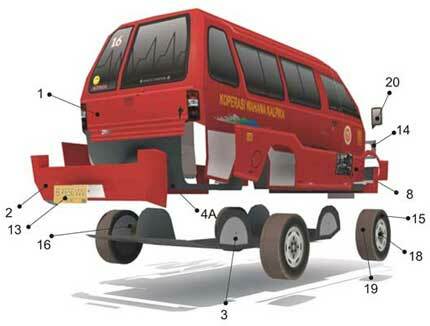 Angkot is an abbreviation from Angkutan Kota or Urban Transportation in english. They served Desa Limo - Pasar Minggu Route. Angkot 61 is using minibus Suzuki Carry 1.0, with 10-11 passengers and a driver.